A report into student housing from Dublin City Council has forecast that by 2025, the number of bed spaces within purpose-built student accommodation will address only a third of demand within the city. The report outlines that there are currently 6,364 student accommodation bed spaces in the city centre, a number which is estimated to rise to approximately 14,000 by 2024. However, the report suggests that by 2025 the demand for purpose-built student accommodation bed space will have risen to over 50,000, meaning the supply of bed spaces will fall short by two thirds. The report therefore suggests that it is “imperative that demand is met with alternative options, including that provided by purpose-built accommodation” due to the extra pressure anticipated on the strained housing market. 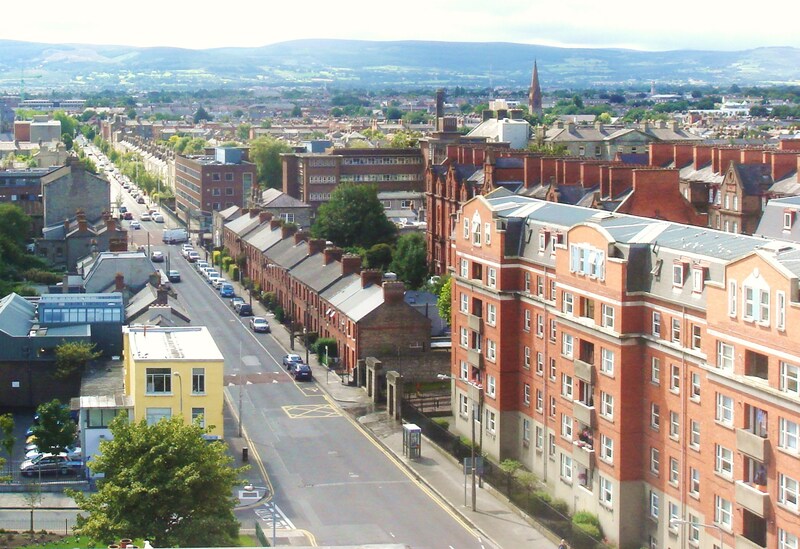 In comparison to international standards Dublin has a relatively low proportion of students accommodated in purpose-built student accommodation, the report found. 16% of students studying in Dublin live in purpose-built accommodation, in contrast to 38% in Edinburgh. The report highlighted a number of benefits to purpose-built student accommodation, including that it “reduces anti-social behaviour”, provides employment for workers, and the residents’ non-rental spending in the city amounts to €24.3m during the academic year. The report was produced by Dublin City Council, EY Consultants and Coyne Research. Explaining the findings of the report, Richard Shakespeare, an assistant chief executive of Dublin City Council, said that the report identified “a significant unmet requirement” at a “national and city level”. He added that a review of purpose-built student accommodation in the city “found that these developments have resulted in benefits to the local environment including the renewal of vacant and underutilised sites, the restoration and reuse of historic buildings and increased pedestrian linkages”. The average weekly rent of purpose-built accommodation in the city is €250, with 5% of residents spending more than €300 a week. Average rent for students in all kinds of housing in Dublin in the 2017/18 academic year was €197. The report stressed that the “all-inclusive nature” of purpose-built accommodation should be considered when comparing it to standard housing rents. The report also found 79% of students currently living in purpose-built accommodation are international students and that the number of international students choosing to study in Dublin has risen by 51% between the 2013/14 and 2017/18 academic years. This point was the focus of the discussion on the report at Dublin City Council’s monthly meeting yesterday. Solidarity councillor Michael O’Brien said that the accommodation was catering only “for the sons and daughters of the global elite”. Sinn Fein councillor Críona Ní Dhálaigh said that the residents of Dublin 8 “feel under attack and under siege by the student accommodation that [is] being built there”. The report also carried out a survey that showed that 42% of the residents of these purpose-built apartments are Trinity students. This makes Trinity the higher education institute with the highest number of students in purpose-built accommodation. Trinity’s Printing House Square is one of nine developments listed in the report that are currently under construction. The Printing House Square accommodation is set to have 250 bed spaces. Finn Purdy is an Assistant News Editor for Trinity News. He is a Junior Fresh English Literature student.